As a judgment creditor, Florida law provides numerous methods through which you can collect the sum owed to you from the judgment debtor. There are numerous ways by which judgment creditors find the assets of their judgment debtors. One of the principal ways is through legally mandated disclosures. Typically, your final judgment will state that the court retains jurisdiction to ensure that the judgment debtor accurately completes a fact information sheet within 45 days. This form will identify all of the debtor’s real and personal property. If the debtor does not complete the form within the 45 days then the debtor may be subject to contempt proceedings and can be jailed or fined at the judge’s discretion. This fact information sheet should provide you with information regarding all of the judgment debtor’s assets. If you suspect that the debtor holds other real property that it has not divulged, you can always search the property records in neighboring counties via public, online databases. Nearly all Florida counties maintain online searchable property records whereby you can enter the debtor’s name and discover if he owns real property in that county. View databases for Florida counties. In addition to the fact information sheet that the judgment debtor is required to complete, you have the right to conduct proceedings supplementary. This allows you and/or your attorney to send discovery to the debtor, including questions regarding the debtor’s assets and a request for copies of all documents regarding the same. You may discover that the judgment debtor transferred assets to third parties pre- or post-judgment in order to avoid collection procedures. More specifically, you could find that the judgment debtor sold real property during the litigation or near the time that the debt to you was incurred. With any information of this nature, you can subpoena and question “any” third party under oath who may now hold such property. If it can be shown that a transfer was made to delay, hinder, or defraud your collection methods, the judge has the power to void asset transfers and order the sheriff to levy assets wrongfully held. Per Florida law, the judgment debtor may ultimately be held responsible for the cost of these supplemental proceedings and collection efforts, although you would have to advance these costs and then seek reimbursement. Judgment liens attach to real property by obtaining a certified copy of the judgment and recording the judgment in the property records of the county in which the judgment debtor’s real property is located. The judgment must contain your current address or in the alternative, you must attach an affidavit to the certified copy which contains your current address. Certified copies can be obtained from the County Civil Clerk for a minimal fee. While the civil clerk previously docketed and recorded your judgment, it is necessary that you obtain a certified copy of the judgment and file it with the clerk yourself, as required by Florida statutes. After this process is completed, any real property owned by the defendant in that county will be subject to your judgment lien for ten years and one renewable period of 10 years. A certified copy of the judgment should be filed in every county in which the judgment debtor owns property. You should also file a judgment lien certificate with the Florida Department of State which gives you priority over any other judgment creditors who file the certificate after you. Moreover, each year Florida sets interest rates payable on judgments. Currently, the fixed interest rate is 4.75% per annum until it is paid or renewed. Note also that an unsatisfied judgment does not last forever. An unsatisfied judgment in the state of Florida will last for 20 years from the stamped date. If the judgment remains unsatisfied nearing the 20th year, it is advisable that you bring an “action on the judgment” in the same court in order to obtain a new judgment. This procedure will extend the judgment for another 20 years. At that point, you may be entitled to the new interest rate assigned for that year. Although your judgment is valid for twenty years, as stated above, it is only a lien on real property for ten years and then you must re-record for the lien to attach to the property for the one ten year renewable period that is allowed. There are different requirements as it relates to personal property which can be found in Florida Statute Section 55.204. Once you attach a lien to the judgment debtor’s property and foreclose on said lien, there will be a judicial sale of the property. The proceeds from the sale will be distributed as stated in the Final Order which usually provides that costs are paid and then you will receive your judgment amount, subject to any superior lien being satisfied first. Any surplus will first go first to those lien holders that are junior to your lien and then to the purchaser of the property. However, the purchaser of the property will have to take it subject to any senior lien holders who have priority over your judgment lien. This is a summary of how to collect on a judgment in Florida. Please be advised that there are certain types of property that are exempt from collection and other requirements as it relates to collecting on a judgment and you should contact an attorney regarding the same. In today’s diverse and dynamic tech industry, strong intellectual property (“IP”) protection is key to establishing and accumulating value in your business. With the Apple, Inc. v. Samsung Electronics Co., Ltd. case inundating the tech news over the past few weeks, understanding that it is difficult to prevent a competitor from attacking your IP, we started thinking about what businesses can do to minimize IP problems from the inside out. We wanted to share a few of these items in today’s blog. File for and monitor federal and/or state registrations. Depending on the level of protection desired and the availability of financial resources, you may consider registering some of your IP with applicable federal or state governing bodies. The process can take anywhere from a couple of days (e.g. for certain state trademark offices) to several years (e.g. for issuance of a federal patent), but an issued registration imparts a presumption that your business holds exclusive rights to the registered IP. Check your employment and consulting agreements. Any time a business engages an employee or consultant, the business must make sure that their employment and consulting agreements convey sole ownership of any work product to the company. While there is a legal presumption that the company would own any work product that its employees produce, such a presumption does not exist with respect to independent contractors who, absent a written agreement to the contrary, will be deemed to have sole ownership to any work they produce for you. To be safe, for both employees and independent contractors – get it in writing. For more recommendations or for a complete assessment of the intellectual property used in your businesss, contact the attorneys at ShuffieldLowman. With more project owners demanding the use of Building Information Modeling (BIM), project delivery is necessarily carried out through greater contributions of design input by the general contractor and the major trade subcontractors. The design professionals are no longer the sole authors of the project design. This collaborative project delivery method has been called integrated project delivery (IPD). The contribution of design input from each of the various project players using IPD is a significant break from the traditional division of responsibility recognized in the standard design-bid-build project delivery method. Players who never participated in the project design now face potential risk of professional liability. Additionally, the new, cutting-edge technologies being used for BIM expand the types of risks born by the design professional if there are errors and omissions within the computer modeling system or the improper management of the computerized data. BIM involves computerized design software tools that help create a model that reflects all of the building components’ geometric and functional qualities. The general contractor and trade subcontractors provide product-specific information for building components and that data is inputted into the model, including performance specifications, connection details and cost data. However, the model is more than a mere representation of the design in a three-dimensional computer graphic. Embedded within the design programs are rules that define each of the components’ relation to the other components. The model is dynamic. If there is a change to one component, then the computer program would automatically and immediately revise the design to accommodate the ripple effect caused by the change. During the pre-construction phase, the project team can input different design options to facilitate value engineering and budgetary decisions, material estimation, and even long-term maintenance costs of the facility. In theory, assuming that the information provided by the various project players is accurate and the rules embedded in the model are correct, BIM should reduce errors and omissions, resulting in an aggregate reduction in professional liability and errors & omissions claims. Additionally, it should reduce the demand for change orders during the project, as the design should have fewer ambiguities and inconsistencies. Yet, if the assumptions embedded in the computerized model prove false, then the result would be a costly problem that all concerned should hope is covered by insurance. IPD using BIM technology is becoming more prevalent with many predicting that it will become standard. In 2003, the U.S. General Services Administration’s (GSA) Public Building Service set a goal to require BIM on FY06 projects and beyond in support of improving design quality and construction delivery. One reason for the use of BIM was a lack of GSA staffing to review design documents and to ensure conformance to building standards. Additionally, GSA was concerned with anticipated sustainability goals for federal buildings with respect to energy efficiency and long-term maintenance costs. GSA sought to rely upon the new BIM software tools to provide solutions to these problems. Since that time, GSA has employed BIM successfully on numerous projects. The GSA is not the only project owner to use IPD using BIM technology. General Motors has constructed at least six projects using this delivery method. Also, the United States Coast Guard and the United States Army Corp or Engineers has implemented BIM software in its recent projects. The expected industry trend is that this delivery method will not be reserved only for complex projects, but rather will start being used for simpler projects on a wider scale. The construction industry is only beginning to catch up with the contractual liability issues that arise from the non-traditional roles played by the various project participants. For example, there has been the 2008 release of the ConsensusDOCS 300 Series for use on IPD projects using BIM technology. Also, the American Institute of Architects (AIA) has developed IPD Agreements AIA C196-2008 Standard Form of Agreement between Single Purpose Entity and Owner for Integrated Project Delivery and AIA C197-2008 Standard Form of Agreement between Single Purpose Entity and Non-Owner Member for Integrated Project Delivery. The AIA contractual agreements incorporate a separate Exhibit (AIA Document E202 – 2008) that might also be used with their other, more traditional contract documents on IPD projects using BIM technologies. The new AIA documents allow the parties to define the standard of care for BIM, as such would be difficult to define given the short history of this technology. They also attempt to allocate responsibility for managing the computer model, e.g. data storage, transferring model files, granting and withholding access to model files, validating completeness and usability of files, among other things. Also, the Exhibit provides a chart listing standard building components that is to be filled out by identifying who will author each listed element of the model design. These contractual means of defining the standard of care and allocating responsibility may impact a design professionals’ liability for professional negligence. The collaboration of general contractors and trade subcontractors in the design on IPD projects may result in liability exposure arising from errors in each parties’ contribution that result in defects in the project design. Accordingly, these parties must approach the IPD similarly to a design-build project and obtain professional liability coverage and errors & omissions insurance. Moreover, the general contractor must recognize that it would face contractual liability to the owner for the errors contributed solely by its subcontractors – errors which could be very difficult to detect by the general contractor. Thus, the general contractor would be well advised to demand in its subcontracts that those subcontractors who contribute to the project design obtain coverage. Yet, the specific type of coverage that expressly contemplates the allocation of responsibility and risk inherent in IPD may not yet be on the market. The consensus seems to be that IPD using BIM technology will result in an overall reduction in design errors. Yet, to the technophobe, an over-reliance on computer models with decreasing human over-sight could also spell disaster. What responsibility should the design professional have for errors in the data inputted by the various parties? What if there are errors in the rules embedded in the model or the internal mechanisms for transferring data or any other number of possible computer glitches? The contract with the company creating the modeling software likely limits liability for such errors to an amount far less than the damage that could be created by the error. The design professional must consider insuring that gap. To address these questions and issues, the design professional should discuss the potential IPD exposures with their broker and to what extent they are insured for same. IPD not only requires additional contributions to design from the contractor, but may also involve greater involvement by the design professionals on the construction side. Design professionals may find themselves more active in the development in the means and methods of construction given the overall integrated approach on these types of projects. “Means and methods” are often excluded in professional liability policies. This raises the question of whether the design professional should purchase general liability insurance to cover damages resulting from negligent construction practices. IPD using BIM technology is changing the relationships between the various players on such construction projects. As a result, the standard construction contracts and their allocation of responsibility and risk may no longer be equitable or reflect reality. Accordingly, before participating in this type of project, all parties should consult with their attorney to review their contracts to address these issues. In addition to the need for revised construction contracts for these types of projects, all parties are strongly advised to meet with their insurance brokers and discuss the new risks arising from this project delivery method. There are several different factors that can frustrate the general contractor’s right of set-off. In some jurisdictions, state statutes may prohibit the general contractor from withholding from the subcontractor the amounts received from the owner for the subcontractor’s work, such statutes holding that those funds are held in trust for the benefit of the subcontractor. Some states might even find the withholding of funds received by the owner for the subcontractor’s work to be statutorily criminal. On projects covered by a payment bond, courts in some jurisdictions have held that even if the general contractor has a contractual right to set-off, the Surety may not. As a result, in those jurisdictions, notwithstanding the contractor’s contractual right of set-off, the subcontractor may be entitled to recover the full amount on Project B (from our scenario above) from the Surety without any deduction of the amounts the subcontractor owes on Project A. Given that the general contractor must almost always indemnify the Surety, such a result has the practical effect of eliminating the contractual benefit of a right of set-off. 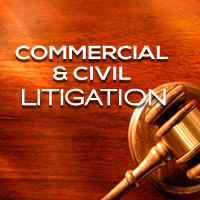 Additionally, in certain circumstances, by the discretion afforded to judges under the rules of civil procedure, courts have required the two competing claims to be handled by separate lawsuits independently and without regard to the general contractor’s claim of set-off. This article discusses these scenarios and others that impact the right of set-off. Basic surety law holds that a surety assumes only the liability of its principal and generally has the same defenses against a subcontractor suing on a payment bond as the principal/ general contractor. So, it would seem that if a general contractor has a contractual right of set-off against amounts otherwise owed to a subcontractor on a bonded project, the surety’s liability to the subcontractor on that bonded project should be reduced by the amount of the set-off. However, a federal district court in Virginia disagreed when addressing that situation on a federal project on which a federal Miller Act payment bond was issued. In U.S. ex. rel. Accoustical Concepts, Inc. v. Travelers Casualty and Surety Company of America,635 F. S. 2nd 434 (E.D. Va. 2009), the court held that general principals of suretyship law that conflict with the Miller’s Act’s terms and purposes (i.e. ensuring that subcontractors are paid promptly for labor, materials and services furnished on federal construction projects) must give way to the Act. Before paying any amount due to the Subcontractor as provided hereinabove, the Contractor is hereby authorized to deduct therefrom and offset an amount equal to any and all sums or obligations owing by the Subcontractor to the Contractor and … any and all claims liquidated or unliquidated, by the Contractor against the Subcontractor , arising hereunder, under any other contract or agreement between the Subcontractor and the Contractor…. Were defendants [general contractor and Surety] allowed to interpose a setoff defense involving facts and circumstances relating to a non-federal project, plaintiff subcontractor would be forced to litigate with defendant sureties a dispute that plaintiff has with its general contractor that is nowhere a part of the payment bond or the Miller Act. The result can only be the kind of delay and complexity the Miller Act was designed to avoid. By contrast, preventing sureties from asserting a setoff defense leads to the sensible result – contemplated by the Miller Act – that a subcontractor [on a federal construction project] receives timely payment for providing labor and materials to [that project]. Defendant sureties may then seek to recover from [its principal] the full amount paid to plaintiff [subcontractor], and [the general contractor/principal] may then litigate the unrelated, non-federal dispute with plaintiff. In other words, the result reached here maintains a sharp division between the Miller Act’s remedy for subcontractors on federal construction projects and disputes between subcontractors and prime contractors arising from non-federal construction projects that are not governed by the Miller Act. The argument can be raised that courts would apply this same reasoning in cases involving the states’ various Little Miller Acts on non-federal public projects or with respect to projects protected by statutory private payment bonds. Several states have enacted statutes that hold that money received by the general contractor from the owner for the labor, materials, and services provided by subcontractors and suppliers (and lower-tiered subcontractors and suppliers) are held by the general contractor in trust for their benefit. The purpose of such legislation is to ensure that the subcontractors and suppliers that actually provide the work get paid. They may also potentially result in the frustration of the general contractor’s right of set-off. The New York Lien Law then outlines a statutory cause of action to enforce such a trust. This statute was addressed in the New York federal case of Universal Maintenance, Inc. v. Amherst Painting, Inc. 1997 WL 160157 (W.D.N.Y.). In that case, the subcontractor sued the general contractor for amounts due on Project A – amounts that the general contractor had already received from the owner for the work performed by the subcontractor. The subcontractor argued that the funds received by the general contractor were held in trust pursuant to the New York Lien Law. The general contractor filed a counterclaim and raised as a defense that it had a right of set-off for back-charges arising from that same Project A, as well as, a back-charge arising from an unrelated subcontract on Project B. The court ruled that the general contractor indeed had a right of set-off as it related to the back-charges arising from the same Project A, holding: “the relief available in a Lien Law trust action encompasses the contractor’s right as trustee to offset against the trust fund amounts sums due from the subcontractor to the contractor with respect to the project.” Id. at 7 (Emphasis added). However, the court struck the general contractor’s counterclaim and defense of setoff for back-charges arising from the unrelated Project B, holding as follows: “The policy reasons for allowing the contractor to set off sums due from the subcontractor apply only to claims for sums due with respect to the project in question, not unrelated projects.” The court reasoned that a set-off claim arising from the unrelated Project B was not a compulsory counterclaim (i.e. one that must be brought in the same lawsuit pursuant to the rules of civil procedure) and can be pursued in another forum. All money paid by the State of New Jersey … or by any county, municipality or school district in the state, to any person pursuant to the provisions of any contract for any public improvement … shall constitute a trust fund in the hands of such person as such contractor, until all claims for labor, materials and other charges incurred in connection with the performance of such contract shall have been fully paid. The Subcontractor agrees … that Contractor shall have the right to set off against any moneys due Subcontractor under this Subcontract any claim or claims against Subcontractor, whether arising under this Subcontract, or any other Subcontract or Subcontracts between the parties hereto. In an attempt to circumvent The New Jersey Trust Fund Act, the general contractor argued that the above-cited contractual right to set-off on unrelated projects constituted a waiver by the subcontractor of any rights otherwise bestowed by the Act. However, the court rejected that argument stating that the contract language was not “clear and unmistakable” evidence of the subcontractor’s knowing waiver of its statutory rights, in part because the contractual provision did not reference the statutes. It should be noted, however, that the case holding suggests that, with more specific waiver language, a subcontractor can waive such statutory rights. Set-off as a Felony Crime? (b) Any person who knowingly and intentionally fails to comply with paragraph (a) is guilty of misapplication of construction funds, punishable as follows: 1. If the amount of payments misapplied has an aggregate value of $100,000 or more, the violator is guilty of a felony of the first degree, punishable as provided in s. 775.082 [i.e. by a term of imprisonment not exceeding 30 years]. This provision arguably limits a general contractor’s right to withhold payment for a back-charge (i.e. a bona fide dispute regarding the amount due) to only the project on which that back-charge arose. This is because the statute limits bona fide disputes to “disputes regarding the amount due, if any, for such services, labor, or materials”. A strong argument can be made that this language could be interpreted to mean “such” services, labor, or materials provided on that project only. If so, there would not be any right to set-off on unrelated projects if the contractor has received payment for the work by the subcontractor on the unrelated project on which the subcontractor performed satisfactorily; it would be criminal to withhold such payment because of a claim on an unrelated project. A general contractor could try to argue otherwise, but at the risk of committing a statutory felony crime punishable by jail time. The rules of civil procedure might also assist a subcontractor to avoid a general contractor’s right of set-off on unrelated projects. If the subcontractor sues a general contractor for amounts owed on a project, and the general contractor has a back-charge arising from that same project, the general contractor must assert the back-charge through a counterclaim in that same lawsuit; it is deemed a compulsory counterclaim. However, the same is not true for a back-charge arising from a separate contract. 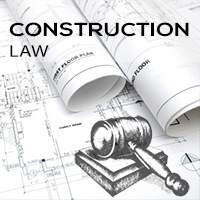 In such instances, the general contractor’s counterclaim is deemed a permissive counterclaim. It is within the court’s discretion whether a permissive counterclaim is to be addressed in the same lawsuit or separately. This scenario was addressed in Turner Construction Co. v. E&F Contractors, Inc., 939 So. 2d 1108 (Fla. 3rd DCA 2006). In that case, the general contractor conceded that the subcontractor was due the amounts sought, but for the general contractor’s claim to a right of set-off for back-charges arising from three other unrelated projects. Importantly, the subcontractor had filed four separate lawsuits – one for each of the projects. In the lawsuit at hand, the general contractor claimed that its back-charges on the other three projects exceeded the amount that the subcontractor was owed on the subject project. Accordingly, the general contractor filed a counterclaim and affirmative defense in the subject lawsuit, asserting a claim of set-off arising from its back-charges on the other projects. The affirmative defense of set-off in the instant case is in the nature of a permissive counterclaim, and is the subject of other pending suits between the parties…. It is within a trial judge’s discretion to sever a permissive counter-claim from the main claim if there is no evidence of prejudice…. Here, the trial court’s order does not prejudice [the general contractor] because [the general contractor] still has the opportunity to fully litigate its set-off claims in the pending lawsuits arising out of its other subcontracts with [the subcontractor]…. Furthermore, the trial court’s order striking the set-off claim promotes the interests of judicial economy, and avoids the potential of inconsistent rulings. Based upon the results of this case, legal counsel for subcontractors facing this scenario may want to consider filing separate lawsuits. The lawsuit concerning the project on which the back-charge arose may take years to litigate given the likelihood of numerous contested factual issues that must be investigated through discovery. Conversely, the lawsuit concerning the project on which the amount due is undisputed (but for the set-off claim arising from the other project) could be won through summary judgment much sooner. The subcontractor might be able to collect quickly on the undisputed project, allowing it to build its legal war chest to fight the battle on the disputed project. While it may seem absurd to require Party A to pay Party B when Party B owes Party A, the courts may nonetheless require it depending upon which states’ law governs, whether the job is bonded, or other circumstances. Accordingly, when there are set-off claims arising from separate and unrelated projects, it is strongly recommended that parties consult and retain local counsel. As a seasoned attorney, I have recently felt compelled to share some personal reflections on the practice of law. It’s well understood that all lawyers must follow a code of professional ethics and obey the rules established under law. But beyond that, experienced attorneys will no doubt be aware of the existence of unwritten rules which they may or may not choose to apply to their own standards of practice. These unstated principles should be of particular interest and importance to younger attorneys, sometimes informally referred to as “baby lawyers”, who are still in the developmental stages of learning and growing in their particular fields. It’s useful to remind oneself that the practice of law is just that: practice. The guidelines I’m about to share with you are guidelines that many of you may already use. They have been developed over years of practice (in both senses of the word) and are mine in the sense that they come from the heart. Unfortunately, I have had to formulate these principles the hard way, through many years of trial (sometimes literally) and error. It was certainly part of a process of making, and hopefully correcting, many mistakes. It also involved the good fortune of having worked with gracious attorneys and patient judges who have helped to lead and shape me. And it was also learned by the inevitable unfortunate encounters with some not-so-gracious attorneys, whether in adversarial or non-adversarial cases. My father, who coincidentally or not also happens to be an attorney, was fond of telling me to “never underestimate the power of a bad example.” Many times, we do learn simply by learning exactly what not to do. I have always tried to bear this simple concept in mind as I navigate through the sometimes rough waters of the legal profession. Recently, I sat down and attempted to express in writing the ways in which I have tried to conduct my day-to-day practice, applying the perspective of what I myself would have liked to have known when I was starting out as an attorney. Keeping one’s focus can make the practice of law something gratifying rather than just grueling. My goal is to encourage other lawyers to embrace the practice of law as I have learned to do. Ideally, new attorneys will be able to retain both a strong sense of self as well as a healthy self-awareness of why they chose to become lawyers in the first place. My hope is that these basic concepts will illuminate their career pathways just as they have helped to shine a light on mine. ■ In other words, give other practitioners the benefit of the doubt, knowing how difficult this job can be. The clients and cases are difficult. The lawyers need not be. ■ Whether it is in correspondence, a report to the Court or within pleadings, stick with the facts and the legal arguments that are on your side. After all, that is what we do. There is no need to make things personal with the other attorney or with clients. “Zealously representing a client” does not mean being a jerk. ■ This applies in Court, or otherwise. The buck stops with the attorney. It is cheap for attorneys not to take responsibility for mistakes. ■ Young attorneys tend to view this as a sign of weakness, but it is quite the opposite. We do not need to know all of the answers; we just have to have the ability to spot the issues and we need to care enough to look for solutions. ■ Attorneys are servants. We are listeners. When we refuse to listen to our clients, or to care about their needs, our practice becomes malpractice. Put yourself in your client’s shoes. How would you feel after reading a letter from your counsel? Is it sarcastic? Is it unclear? Would you appreciate a call beforehand, or some explanation? The practice of law is foreign to many. As attorneys, we need to be cognizant of this fact. ■ Introduce yourself to opposing counsel over the phone. It is much more difficult to be mean to someone when you realize that he or she is a human being. E-mail is impersonal and not always the best way to communicate. ■ If you bring in work that you do not know how to do, do not be afraid to send it to someone who does. Do not take on something that could give you malpractice heartburn. It is not worth it, and it is not the best thing for your client. ■ You were a baby once. ■ If you are getting paid over $200.00 per hour, look professional. Dignity within the profession and perception are important. ■ He never takes off. Often when acting as the prime on a construction project, the design professional is asked to review, comment or even craft insurance and bonding specifications for the project. With an increasing number of general contractors and subcontractors experiencing financial difficulties due to the poor economy over the last couple of years, it becomes increasingly important for owners to protect themselves as much as possible through commercial general liability (CGL) policies and performance bonds. This article distinguishes between the nature of liability insurance and suretyship, analyzes the scope of coverage and protections afforded by each – including recent case law that arguably expands CGL coverage – and discusses how owners and general contractors might better protect themselves using these tools. This article also includes a brief description of owner-controlled insurance policies (OCIP) which may be appropriate for large construction projects. A performance bond issued by a Surety is not insurance. Liability insurance is a contract pursuant to which the insurer agrees to indemnify and defend the insured against certain claims for damages, specifically losses covered under the insurance policy, for which the insured is otherwise liable to third parties. If the insurer pays out under the policy, it may not later seek indemnity from the insured. This is not the case with a performance bond. A performance bond is a three-party agreement issued by a Surety who guarantees to an obligee (i.e. the protected party) that the principal (i.e. the entity whose performance the Surety guarantees) will complete the work required under the bonded contract. Also, if the bond incorporates by reference the bonded contract, the Surety may become liable for post-completion damages such as repairs necessitated by latent defects. While performance bonds are usually obtained by the general contractor for the protection of the owner, general contractors may also require their subcontractors to obtain performance bonds. Owners too may require the general contractor to demand its subcontractors to provide performance bonds. While doing so will increase the contract price, it has the benefit of excluding lower quality and financially struggling subcontractors who cannot obtain such bonding, as well as provide the bond protection. Unlike liability insurance, if the Surety is required to incur costs to complete the contract or otherwise pay out under the performance bond due to the principal’s default of the underlying contract, the Surety will seek indemnity from the principal. Moreover, as a condition of issuing the performance bond, the Surety likely will have required a general agreement of indemnity from not only the principal, but the individual stakeholders of the principal corporate entity and their wives. Also, the Surety has no duty to defend its principal against claims made against the performance bond. It is important for the parties protected by the bond to recognize this distinction because it should alert them of the need to have counsel review the performance bond form being used on a project. Given the additional liability exposure to the principal under a performance bond and those individuals who signed a general agreement of indemnity to obtain the bond, the principal has an obvious incentive to propose a bond form that provides as little protection as possible. As discussed below, the protection afforded by a performance bond may differ significantly depending upon the bond form used. However, the Surety will not be liable to the obligee for all damages arising from the principal’s default. Absent certain language in the bond form, there may be several types of contractual damages for which the principal may be contractually liable but that the performance bond will not cover. Unless the bonded contract is expressly incorporated into the performance bond, the Surety may not be liable for the correction of defective work or the performance of contractually required warranty work. Also, in certain jurisdictions, even though a principal is adjudicated liable for actual delay damages resulting from its breach of the contract, the Surety will not be held liable for such damages under the performance bond absent express terms in the bond form stating otherwise. See American Home Assurance Co. v. Larkin General Hospital, Ltd, 593 So. 2d 195 (Fla. 1992). Similarly, a performance bond Surety may not be held liable for lost profits or rents on the project arising from the principal’s breach of the bonded project – again, even if the principal is found liable for such damages – absent express terms in the bond form stating otherwise. The scope of the performance bond will be limited to its express terms. However, through the negotiation of the bond form, the terms might be expanded to include these types of contract damages, thus expanding the obligee’s protection beyond merely the completion or correction of work. As commonly understood, the purpose of CGL insurance is to provide protection for personal injury or for property damage caused by an occurrence, such as the negligent performance of construction work, but not for the replacement and repair of such negligently performed work or the cost to complete unperformed work. For example, if a roofing contractor negligently constructs a roof on a building which results in damage to property located inside the building, then a CGL policy issued to the roofing contractor may cover the damage to the property inside the building but not the cost to replace the roof. However, CGL policies may include riders and endorsements that limit coverage otherwise provided by a standard policy, such as exclusions for mold or residential construction. Such exclusions could be devastating if they are indeed a potential risk. Design professionals working as the prime on a project should strongly encourage their owner clients to have the controlling CGL policy reviewed before the contract is entered. Most construction contracts merely require that a certificate of insurance be provided to establish proof of insurance. However, the certificate of insurance does not identify the scope of coverage. Only through a review of the insurance policy itself can the scope of coverage be determined. While a standard CGL policy is not typically understood to cover the cost to repair and replace the insured’s own defective work, a Supreme Court of Florida case holds that such a policy issued to the general contractor may provide coverage for the cost to repair and replace the damage to a completed project caused by a subcontractor’s defective work. U.S. Fire Ins. Co. v. J.S.U.B., 979 So. 2d 32 (Fla. 2007). The court’s analysis of the CGL policy could be argued in other jurisdictions beyond Florida. In the J.S.U.B. case, a general contractor constructed homes on soils that were not adequately compacted (such compaction being the responsibility of one of the subcontractors), resulting in settlement cracks to the homes, as well as, items placed in or affixed to the homes, such as wallpaper. The insurer argued that workmanship deficiencies that resulted in later damage to the homes constructed by the insured/ general contractor should not be considered the result of an accident and, thus, should not be deemed an “occurrence” which is covered by the insuring agreement. However, the court disagreed and determined that there was coverage for the damaged homes. In reaching its holding, the court found that settlement damage to the homes caused by improper compaction of the underlying soil was an “occurrence”. As defined in the policy, an “occurrence” is “an accident, including continuous or repeated exposure to substantially the same general harmful conditions.” The court held that when the term “accident” is undefined in a liability policy, as was the case, the term includes not only “accidental events” but also damages or injuries that are neither expected nor intended from the viewpoint of the insured – such as the negligence of its subcontractors. The court also recognized that there is a difference between a claim for the costs of repairing or removing defective work, which is not a claim for “property damage,” and a claim for the costs of repairing damage caused by the defective work, which is a claim for “property damage.” As for the “your work” exclusion, the operating policy included the following exception to that exclusion: “Paragraph (6) of this exclusion [i.e. the “your work” exclusion] does not apply to ‘property damage’ included in the ‘products-completed operations hazard.” The operating policy had products-completed operations hazard coverage. The more expansive coverage provided by the Florida court’s interpretation of the post-1986 ISO CGL policy arguably overlaps the protections afforded by a performance bond. Given the indemnity obligations of the principal on the bond, it should be expected that principals will likely use this case law to shift liability away from its Surety and towards the CGL carrier when there is damage to the project due to a subcontractor’s deficient work. It should be noted that the ISO has begun to issue an endorsement that may be included in a CGL policy which arguably eliminates coverage for the cost to repair and replace the damage to another subcontractor’s work necessitated by the insured’s negligent performance, thus negating the Florida court’s expanded interpretation of the standard post-1986 standard ISO CGL policy. Such an endorsement is not in the owner’s or general contractor’s interest. Accordingly, if an insurer has included this endorsement as a part of the CGL policy, an owner and general contractor would be advised to determine if the endorsement can be stricken and, if so, find out the cost for doing so and perform a cost/risk analysis. Further, the case high-lights the importance of obtaining products-completed operations hazards coverage as part of the CGL policy, i.e. coverage for occurrences that arise after the project is complete. Owners should be advised to demand that they be named as an “additional insured” on all CGL policies protecting the project. Further, they should ensure that the insurer actually issues the endorsement naming them as an additional insured, as an action against a potentially insolvent subcontractor for breach of contract for failing to obtain the contractually required endorsement may not afford a sufficient remedy. An additional insured can make a direct claim against the policy and sue for a declaratory judgment establishing coverage. Absent being named an additional insured, only the insured can sue the insurer before the insured’s claim is resolved. Additionally, many states allow the prevailing party to recover their attorney’s fees in an action to recover against their own carrier for an insured loss. An owner-controlled insurance policy (OCIP), often referred to as a “wrap-up” policy, is a policy obtained by an owner to provide coverage for all of the project participants on very large construction projects or a combination of related projects. Such a policy typically provides commercial general liability insurance for all parties, as well as, workers compensation, employer’s liability, personal injury and property coverage. Such policies can also include professional liability and builder’s risk coverage. The potential advantage of OCIP is to avoid multi-insurance lawsuits seeking recovery for various claims between the owner, architect, engineer, contractor, subcontractors and suppliers. However, unlike individually obtained policies, OCIP coverage typically expires at the end of the project – before liability exposure of project participants ends. Accordingly, the owner may be advised to require project participants to obtain additional coverage in excess of the wrap-up policy to address that concern. Given the complexities of these wrap-up policies, they should be purchased only after consulting with an experienced insurance broker and legal counsel. While owners may believe they have protected themselves by requiring CGL insurance and a performance bond for a project, a design professional acting as prime should advise their owner clients to conduct a more thorough review and negotiated modification to the insurance policy and bond form with the help of their legal counsel and insurance broker. Further, owners should be advised of the possible advantages of obtaining an OCIP or “wrap up” policy. Doing so can significantly expand their protections and increase the likelihood of a successful and profitable project.